The mega face paint kit is a new and fun way to face paint. Not only does this kit come with face paints, but it also includes 3 jars of face glitter, a jar of acrylic jewels and stencils! 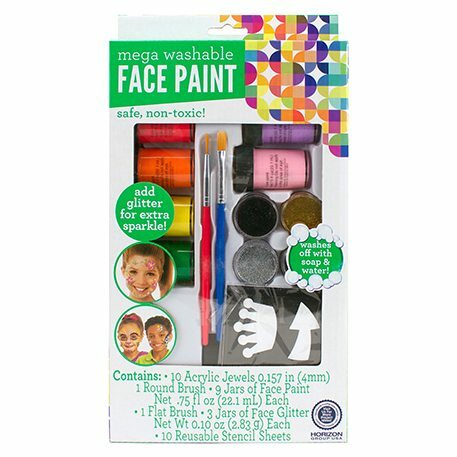 The mega face paint kit is a great way to take face painting to the next level!